Geckos Gone Wild |5 reel online slots game with 20 pay lines. 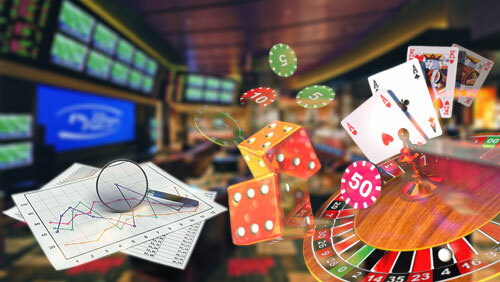 Geckos may not be the first subject that leaps to mind when considering a slot machine, but Amaya, the UK-based casino software development company certainly have created quite a notable game using this theme. Geckos Gone Wild is a 5-reel video slot with 20 paylines and a maximum jackpot of 50 000 credits. This video slots game has numerous features including wilds, scatters, multipliers, free spins, and even a free game attribute that should attract plenty of slots players. In terms of overall theme, Geckos Gone Wild slots game seems little more than an eclectic mixture of random symbols cluttered together in a group that is held together as a slots game. The reel symbols include a Cactus, a Bell, a Bag of Cash, the ever-present Cherries, a Brick Oven Scatter symbol, the Geckos Gone Wild Logo, and two separate Wild Gecko symbols. The lesser symbols, the 10 through Ace card symbols fill up the reels. The two separate Wild Gecko symbols are divided into the red and the blue versions, and behaves in the standard fashion of a wild card, substituting for any other symbol on the reels to make a winning combination. Apart from the Scatter symbol. The Wild symbol cannot substitute the Scatter symbol. The Wild Symbol, on its own, pays out 5 000 credits in Geckos Gone Wild when 5 of same wild symbols appear on the reels. This is also the only time where a clear difference between the red and blue Wild symbols becomes evident. The Red Wild Gecko symbol is the top jackpot icon and landing 5 of these on a payline that has the maximum stake placed on it, both in terms of coin denomination and line bet stake, pays a satisfactory 50 000 credits. Three or more of the Brick Oven Scatter symbols, appearing anywhere on the reels, rewards players with regular wins of up to 40 credits. More significantly, the Brick Oven Scatter symbol in Geckos Gone Wild triggers the Free Game feature every time just two of them appear on the reels. Noticeable when playing Geckos Gone Wild video slots game is that every time a win is achieved, the relevant reel symbols become animated as the winnings are added. Geckos Gone Wild slots machine features a Free Games bonus. This bonus game is activated when two or more scatter signs appear on the reels. Five free games is the reward for two scatters, while three scatters receives a five free game rewards. Five scatters is a real financial objective of the game, and a player achieving this is awarded 60 free games. On top of this, all winnings encountered during the Free Games feature will be doubled. What is even more, more free games can be triggered if more Scatter symbols appear during the Free Games Bonus. The only restriction is that the jackpot cannot be claimed during the Free Games feature. Geckos Gone Wild video slot is known as a simple, straightforward slot game. The most desirable feature is the Free Games bonus. Copyright © Szkse Gambling 2019. All Rights Reserved.